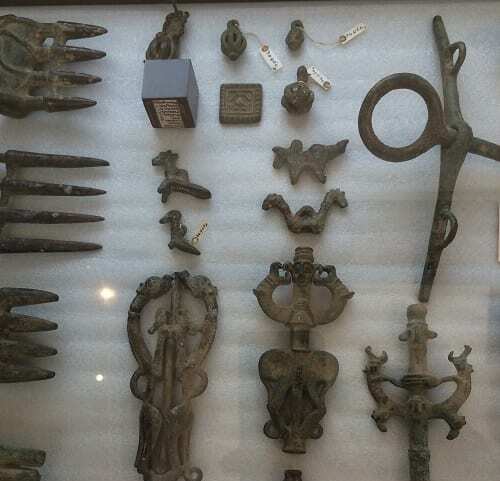 Querying ‘The Field’ in Fieldwork…. This September, the Emerging Subjects team will at last begin our fieldwork in Mongolia! This much anticipated part of our project will span from 2015-2016, with follow-up trips to Mongolia in 2017. In many ways it gets to the heart of what we do as ethnographers, spending long periods of time with friends and people we meet from a variety of backgrounds, building research relationships as people share insights that can be better understood through this long term research method. All of us have experience of long term research in Mongolia, and some of us are Mongolian, making this return to Mongolia a very welcome one. It is also finally the chance as a research team to actively engage with and draw from our collaboratively built shared theoretical frameworks through which we will pursue our different topics, frameworks that will no doubt shape and be shaped by our changing methodological approaches. However, looking back upon the busy year of our project thus far has given me cause to reflect upon what ‘the field’ actually means for us as anthropologists of Mongolia. The past year for Mongolia has been an eventful one. Key political changes have occurred coupled with the signing of new agreements to spur on the extractives industry. A nationalist protest base has also risen strongly in response to some of these changes. Our preparatory reading and thinking through processes of economy and personal experience has already caused us to look at these changes in Mongolia with new perspectives, which has spurred our thinking about and commenting on these events. Without discounting the underlying historical disjuncture and inequalities between the ‘academy’ and ‘the field’ in anthropology – a topic which deserves ongoing critique – how distinct have these two domains actually been for us thus far? Where does ‘the field’ begin or end, or even manifest as it relates to Mongolia? Monhhairhan Sum, Hovd Aimag, Mongolia. Photo by Rebekah Plueckhahn. Facebook has proven to already be a ‘site’ that has allowed us to connect with a variety of interrelated networks on a daily basis in Mongolia spanning many rural areas, and diverse communities within the capital. It has become a place where a growing protest base in Ulaanbaatar has found a platform through which to connect and share information, becoming foundational to the formation of the movement itself. Friends have reached out to us to share thoughts on changing politics, sharing personal reflections on their views for the future, and their experiences of this year’s Tsagaan Sar, or Lunar New Year. 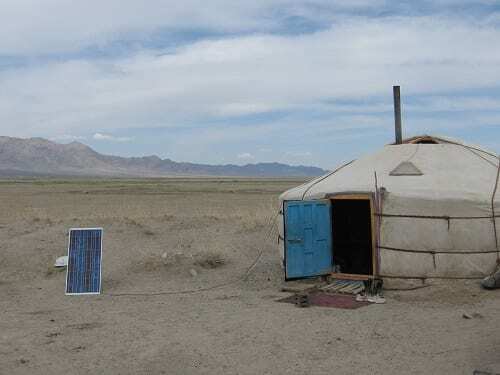 Similarly, internet is now available throughout rural areas in Mongolia through smart phones, and Facebook networks now echo and expand existing, fundamental rural social networks. It was once only possible to keep up to date with news through bad telephone connections and actually being there. Now we are now able to talk often to friends and family. For a long time a number of us have also been engaged with the Mongolian diaspora. Throughout the past year migrant Mongolian friends of ours have been sharing their reflections on Mongolia and engaging with our research group, where a number of scholars shared their valuable insights and discussed their current research on Mongolia. ‘The field’ itself within Mongolia also often proves illusive. 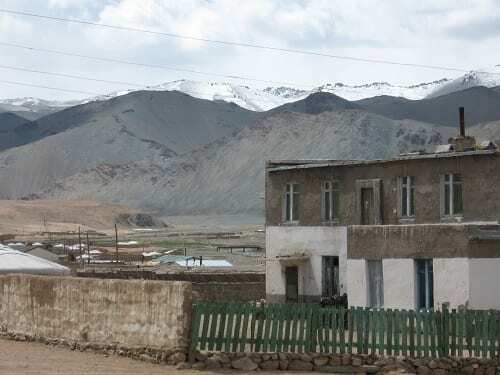 As many ethnographers of Mongolia would attest, the term ‘village’ as some kind of bounded unit (if that exists at all) in relation to rural Mongolia is an unhelpful term which paints a static misrepresentation of the reality of mobile Mongolian life. People move so often between rangeland, district centres, provincial cities and the capital that it is often the ethnographer’s job to jump on the jeep and travel too. Zereg Sum, Hovd Aimag, Mongolia. Photo by Rebekah Plueckhahn. The interconnections between areas of Mongolia also stem internationally. 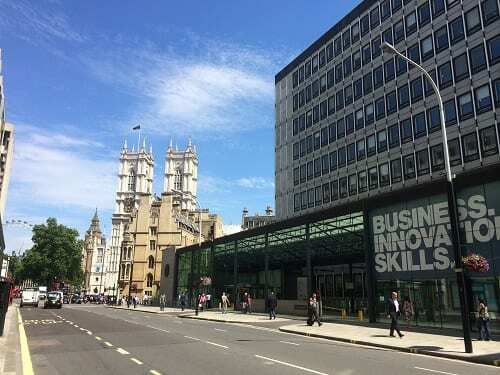 As people engage with a myriad of different economic enterprises, they are forming links and connections that influence and are influenced by larger international, global processes of finance markets stemming from Hong Kong, London and New York. Another ‘fieldsite’ for us thus far has been the finance news as we have tracked reporting on commodity prices, corporate mining decisions and investment commentators’ impressions of a wavering Mongolian economy. Additionally, even when conducting fieldwork, the different ‘sites’ we will work within in our different topics will undoubtedly overlap and expand when we draw our data together to paint a bigger conceptual picture. 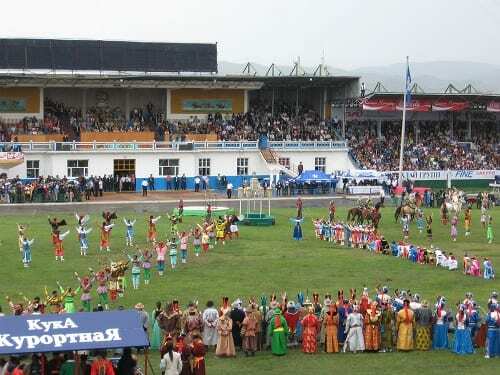 Naadam Festival, Ulaanbaatar 2009, Mongolia. Photo by Rebekah Plueckhahn. Regardless of how helpful or not the term ‘fieldwork’ actually is, nothing beats the chance to talk and spend time with all sorts of people in the place that they call home. And perhaps this is what ‘the field’ is for us this coming September. It is a chance for reunions with friends, or for some, to return home. It is a chance to talk with new people in different settings over a long period of time whose opinions and voices aren’t so readily or easily heard. It is a chance to physically engage with, experience and better understand how people live in the dust storms in the Gobi, or experience the confusing, convoluted bureaucratic processes of gaining ownership of land or a securing a loan. To experience how people negotiate the long, repeated train trips to the border to conduct trade, and to hear the reflections of people struggling to understand and influence how their surrounding environment will be changed with mining. It is a chance to learn first-hand about how the changing economy of Mongolia is experienced, and it is this that we are looking forward to. What constitutes ‘the field’ to you in Mongolia or elsewhere?